Brian Schwob prepares to make a pass to his teammates during practice in October of last year. The Lindenwood men’s volleyball team inaugurated the Lindenwood Invitational with a match against Long Beach State on Thursday night at the Hyland Arena. The Lions put up a fight against the nationally-ranked Long Beach, but came up short every set to finish 0-3 with sets of 19-25, 17-25 and 19-25. According to the Lindenwood athletics website, Connor Hipelius was the top scorer with seven kills, an ace and two blocks, followed by Nick Stevenson who also had seven kills and a .294 attack percentage. Adam Brewster recorded 24 assists and two kills in three attempts. 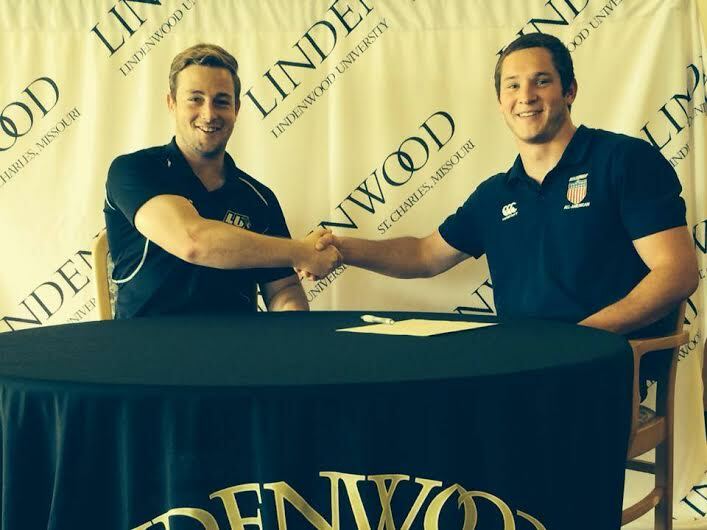 The Lindenwood invitational is a four-day tournament hosting five different teams. The Lions are currently 0-1. Brewster said the Lions are focusing on controlling how they handle the ball as well as making defensive changes according to other teams’ offensive strategies. The Lions are now 2-6 overall for the season and will come back on Saturday to face Lourdes University at 10 a.m. and Alderson Broaddus University at 7 p.m. at Hyland Arena. Posted June 6, 2014; 10:00 a.m.